Tacos are probably one of my all-time favorite foods. 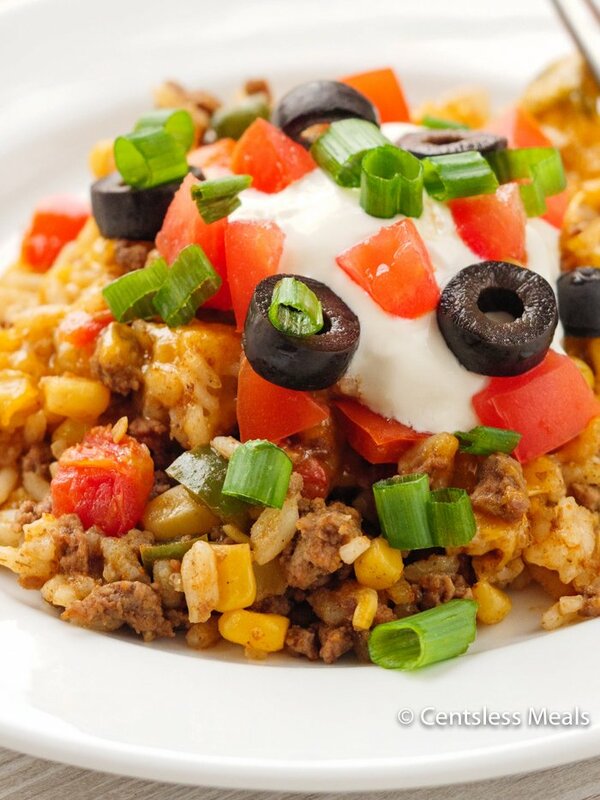 This taco casserole takes all of the fun from a traditional taco and puts it into an easy, weeknight dinner that the whole family will love! 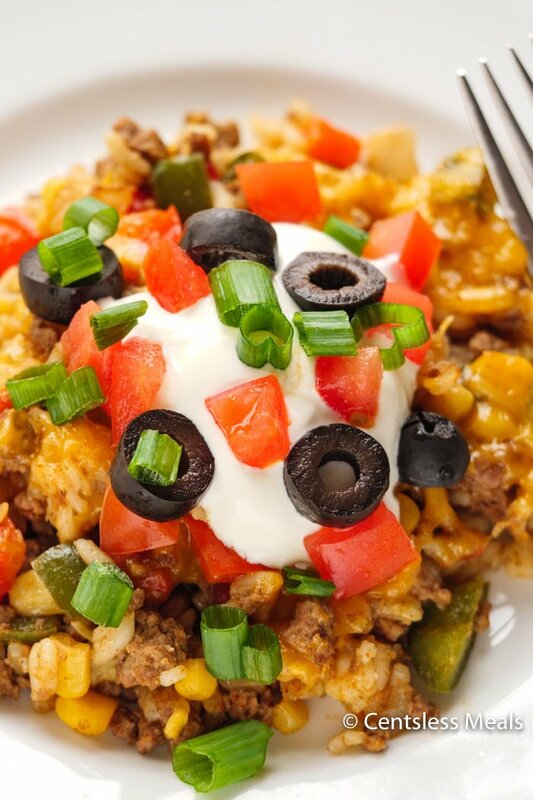 This easy taco casserole has quickly become a dinner staple around here. 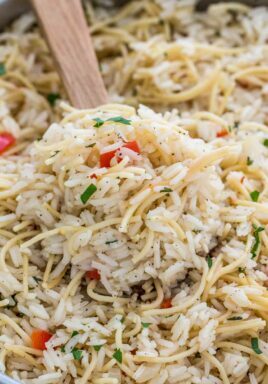 Delicious beef and rice are combined with tomatoes, mexicorn, and salsa, then topped with gooey cheese and baked to create the easiest and most delicious dinner you’ll make this week! 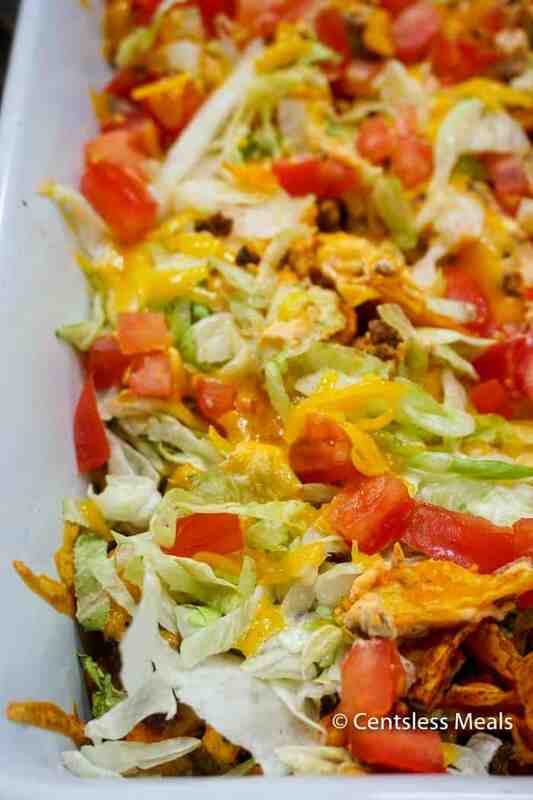 Substituting the beef with chicken will give you a delicious chicken taco casserole. 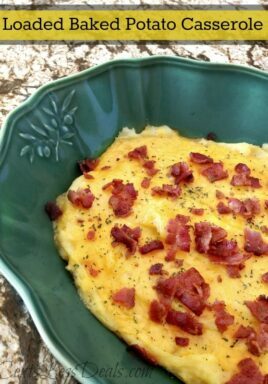 The great thing about this recipe is how versatile it is! 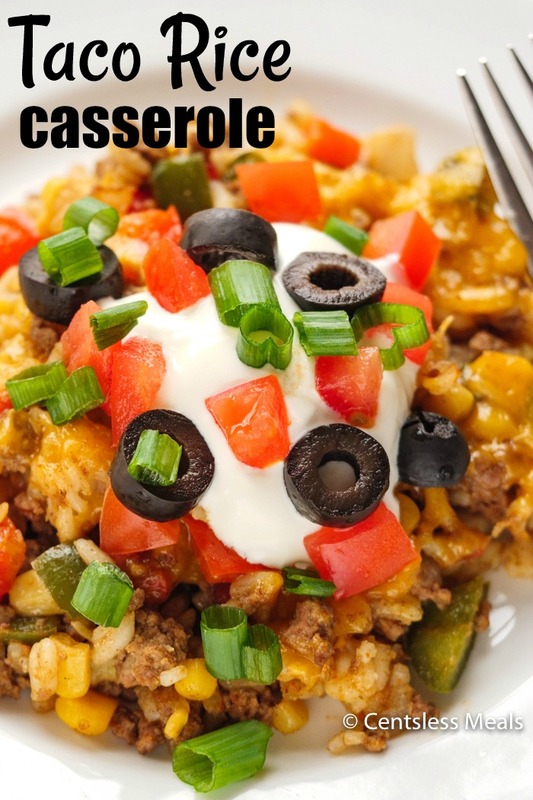 I love using homemade taco seasoning to add the best flavor to this easy taco casserole! For some added spice, try using some chilli powder, or sliced jalapeños to your dish before baking (I love my food on the spicier side)! I love the way this taco casserole tastes right out of the oven, but if you’d like you can top it with tomatoes, lettuce, and sour cream! 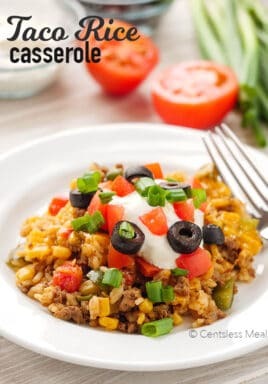 Taco Rice Casserole keeps very well in the fridge and reheats amazingly so if you are lucky enough to have leftovers, they make the perfect lunch the next day! This recipe only has 4 steps. 4! What could be easier than that? 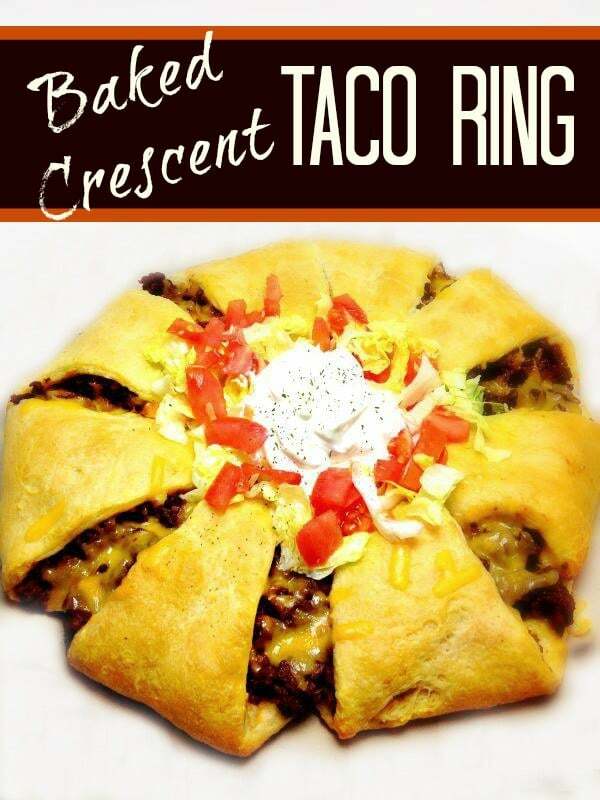 What is a taco bake? 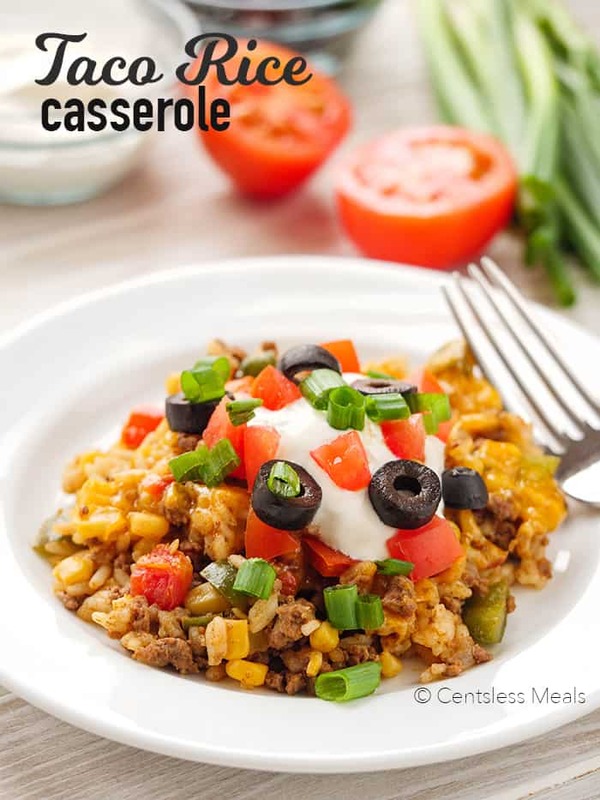 Taco casserole, or taco bake, is a casserole dish that combines all of the Mexican taco flavors into a beautiful and colorful casserole that is packed full of spice and flavor. Taco bakes can be made in a couple ways: layered like a Mexican lasagna or all combined into one dish and baked! 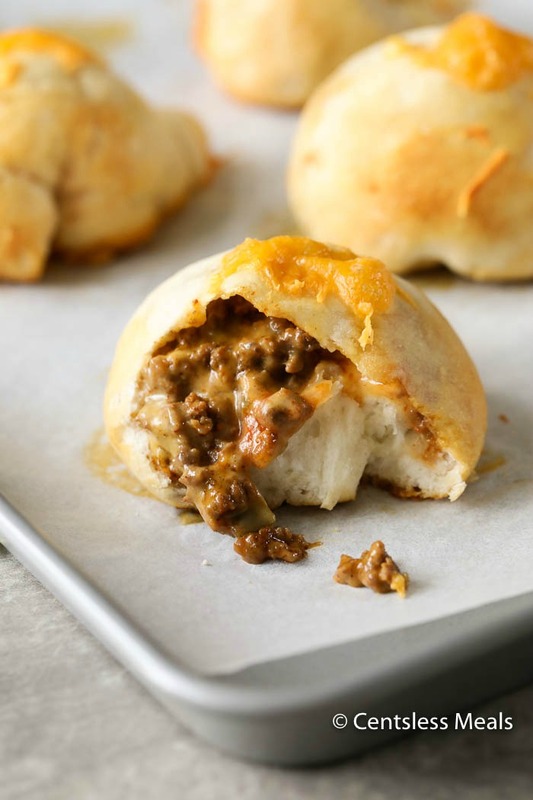 The great thing about taco bakes is how versatile they are, you can add anything you’d like to them! I love adding things like olives, jalapeños, green onions, tortilla pieces, or even refried beans! Taco bake will last in the fridge for 3 days, and reheats very well. Taco Casserole combines tender beef and rice with tomatoes, mexicorn, peppers, and salsa, then it's topped with gooey cheese and baked to create the easiest and most delicious dinner you'll make this week! Combine rice and water/broth. Cook covered 20 min. Meanwhile, brown beef, onions and garlic. Add taco seasoning, water as directed on package and peppers. Cook until thickened. 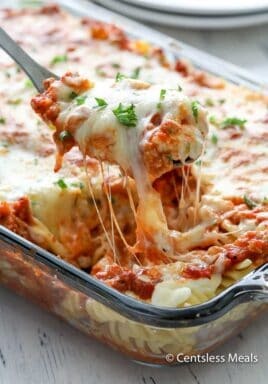 Combine all ingredients except cheese in a 9x13 pan. Cover and cook 25 minutes. Uncover, top with cheese and cook an additional 20 minutes or until heated through. Taco Casserole with a Surprise Crust! How much garlic? The recipe doesn’t say. 1 clove Sonja – updated. Thank you!